This is with reference to the invitation for submission of objection or suggestion with respect to the Draft Wetlands (Conservation and Management) Rules, 2016 published on 1st April, 2016 in the Gazette of India aimed at supersession of Wetlands (Conservation and Management) Rules, 2010. 1. Given the fact that Wetlands (Conservation and Management) Rules, 2010 was not implemented, the Draft Wetlands (Conservation and Management) Rules, 2016 seem to raise hopes for conservation and management of the wetlands in the country in an effective manner. But perusal of the details contained in all the seven sections and the schedule reveals that the Draft 2016 Rules has ignored the consultative process which commenced in 2008 in response to the First Draft Regulatory Framework for Wetland Conservation of India. 2. It is quite disturbing to note that the Draft 2016 Rules dismantle the Central Wetland Authority. The Preamble of the Rules reads: “State Governments need to take into account wetland ecosystem services and biodiversity values within their developmental programming, also taking into cognizance that land and water, two major ecological constituents of wetland ecosystems are enlisted as State subjects within the Constitution”. 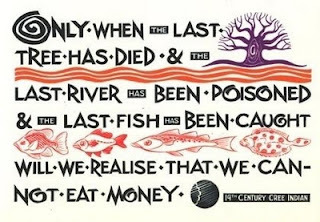 It underlines that Central Government has no to play in Wetland Conservation or Protection. 3. Wetlands cannot be seen merely as subjects of States like “water” and “land”. Such approach demonstrates lack of understanding about ecosystem and a deeply parochial application of legal mind. It is quite evident that Wetland Rules do not deal with issues related to Land and Water. In such situation, decentralization argument being advanced does not appear genuine, sincere and honest. 5. It needs to be appreciated that wetlands are ecologically fragile. It provides several services to the society and the ecosystem. 2. The Draft 2016 Rules provide for no role for the local community to play. 7. It does not provide role for local communities or civil society members in the State Wetland Authorities. It includes only 4 expert members, which can be from the government. This Authority is entrusted with taking highly technical decisions about the Ecological Character and Ecosystem Goods and Services of Wetlands although there is no such expertise on board. 10. In the Draft 2016 Rules there is no criterion or Guideline for Wetlands which should be notified by the State. There is no reference to wetlands on the basis of their uses, size, ecological importance, heritage sites, etc. There is no criterion about the minimum and maximum areas of Wetlands that State has to notify. There is no mention of Wetlands of National Importance. There is no mention of how Ramsar Wetlands would be governed either. There is no mention of Interstate and Transboundary wetlands and how these would be governed and by whom. 11. There are no guidelines about activities that should be Prohibited or Regulated in the Wetlands by States. It is noteworthy that Section 6: Process of Notification of Wetlands does not mention the word prohibition instead it provides “Lists of uses permitted within the wetlands”. There are no guidelines or specifications about Regulated Activities. 11. It is quite strange that under the Draft Rules the State Wetland Authority does not have Powers to prohibit any activity in the Wetlands. It can only regulate them. 13. It is incomprehensible as to why State Wetland Authority does not have any authority to take Penal Action against parties who violate the Rules. It is not clear which department will be coordinating these activities. In 2010 Rules, it was made clear that Forest Department would be entrusted with this responsibility. The provision of Appeal Against Decision of Authority in NGT, namely the Section 9 of Wetland Rules 2010 is missing in Draft Rules 2016. 14. At a time when the exercise of demarcating wetlands has already been mostly completed for the entire country by ISRO through its National Wetland Atlas, it is not reasonable for the State Wetland Authority to demarcate Wetlands afresh. 15. There is a manifest conflict of interest given the fact that the Chief Executive of the State, the Chief Minister, is also head of the state Wetlands Authority. 16. Wetland Rules 2010 had timelines from notification to other stages but the Draft Rules 2016 has no timeline and there is no process. 18. 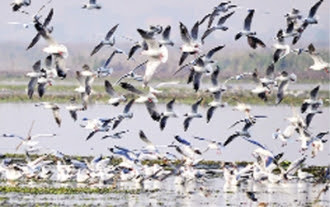 There has been an ongoing effort in different States like West Bengal and Bihar to save wetlands from encroachments by real estate mafia and insensitive entities with little success. Such experiences underlines that States sensitivity towards the ecological significance is yet to reach a stage where they can be trusted with such responsibility. 19. New Wetland Rules can be helpful in protection of such ecologically sensitive areas but Draft 2016 Rules needs to be totally overhauled before it can do so. In view of the above submission, we request you to thoroughly revise the Draft Wetlands (Conservation and Management) Rules, 2016 and come out with a fresh Draft for public comments in the supreme interest of present and future generations and top safeguard the wetlands which face grave threats from vested interests.